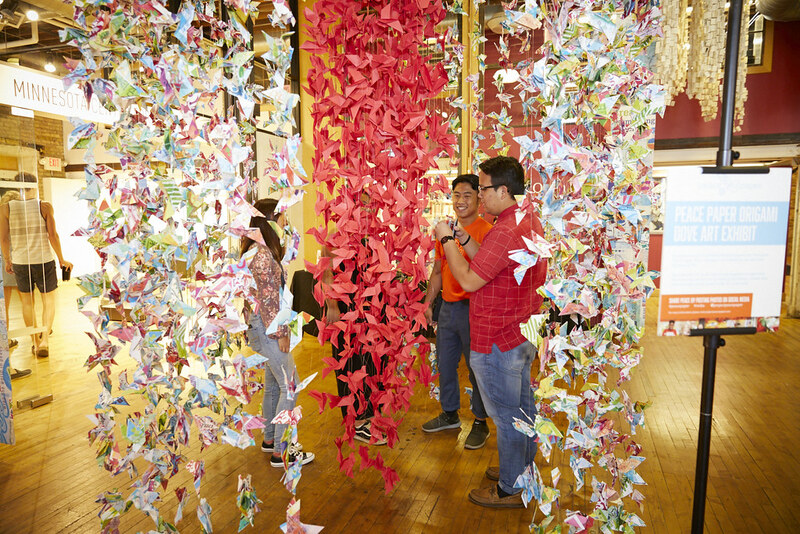 Project Peace Paper invites you to the unveiling of an art installation featuring thousands of peace paper doves designed and folded by people from all walks of life. 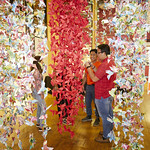 Walk through the symbolic 2,000 origami dove installation, fold your own origami doves to contribute to this art piece, and experience a peaceful space. 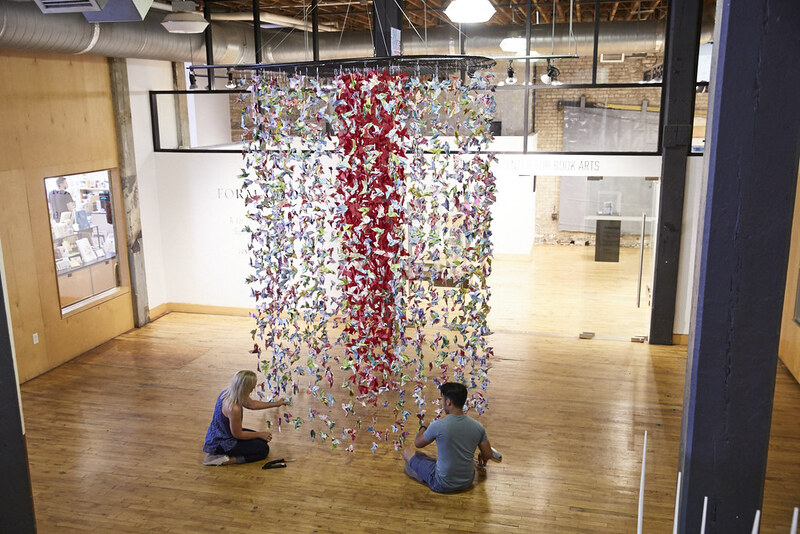 The collection of doves is strung together to represent the collective movement of making the world a kinder and more peaceful place, even if only for a moment. 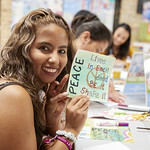 For more information about Project Peace Paper and its impact, visit www.projectpeacepaper.com. 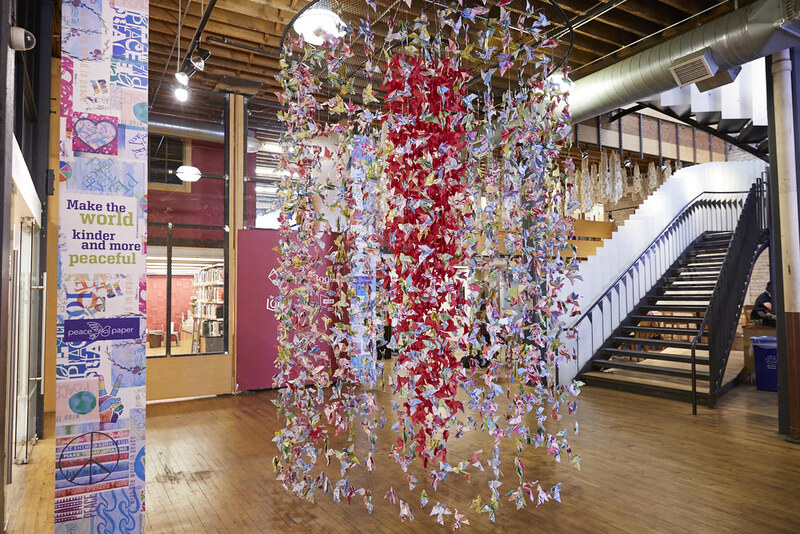 Project Peace Paper is a public project celebrating peace with innovative crowd-sourced wrapping paper. 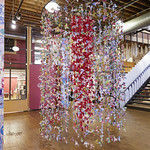 Peace Paper features a unique collage of peace imagery and has been displayed in public spaces all over Minneapolis – including bus stops, vacant storefronts, and school hallways. 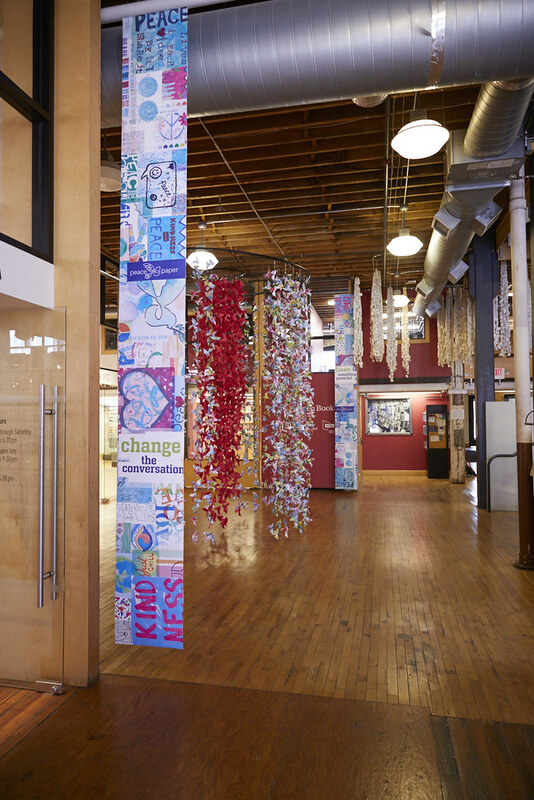 This summer, MCBA helped to build momentum for the movement by hosting several maker events that used this engaging paper in new and exciting ways – culminating in an exhibition in MCBA’s Outlook Gallery. 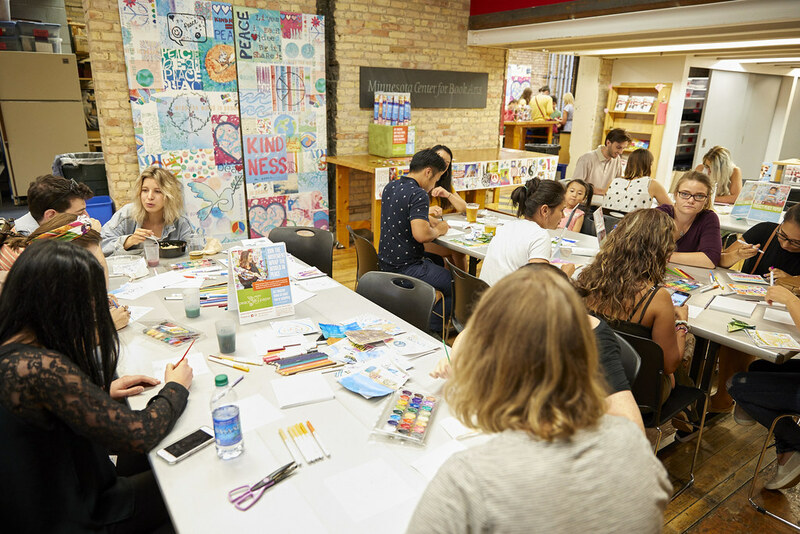 We drew and painted visions for peace and explored the artful possibilities of using Peace Paper to create a collaborative sculpture. 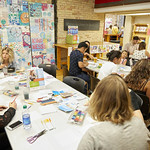 MCBA hosted making sessions on Tuesday, May 8; Tuesday, June 12; and Saturday, July 28. These events were free and open to all ages. 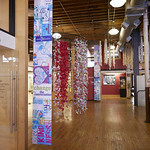 For more information, visit projectpeacepaper.com or search #projectpeacepaper.